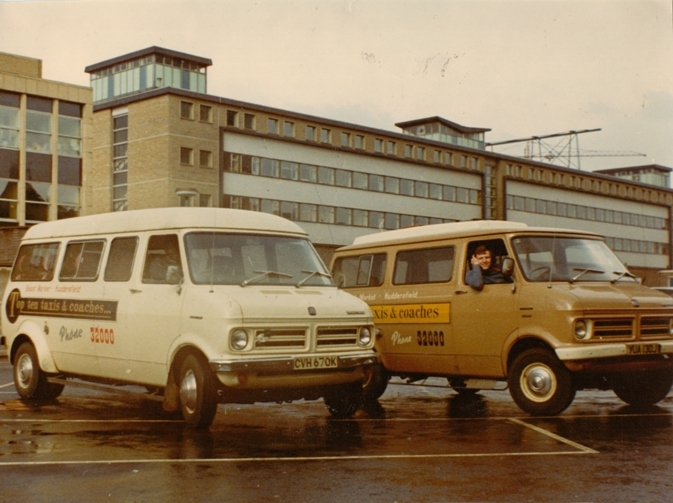 On the left side of the picture: Joe and Sue waiting for drivers to apply for jobs, the wage was 2 shillings per hour, 20p in todays coinage. 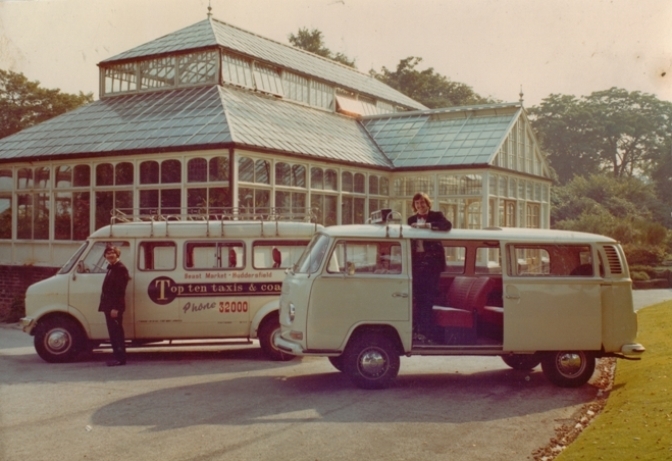 On the right side of the picture: The shop rented to George Grey by Johnny and Joe. 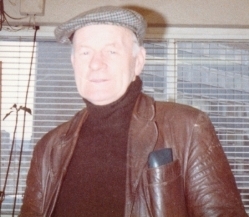 George was famous for the leather jacket that he made. 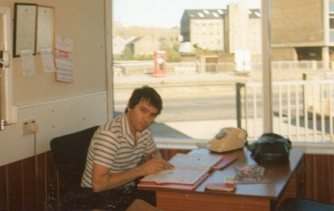 He later went on to be a founder member in the band called "Welcome". 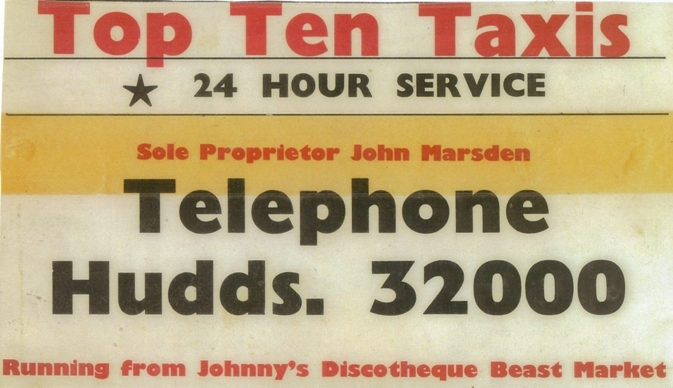 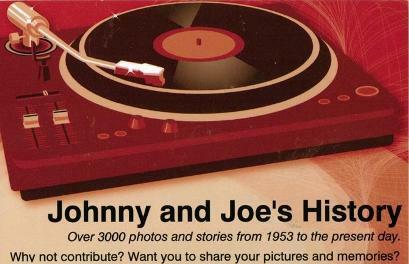 Johnny started his Taxi business in the mid 1960’s. 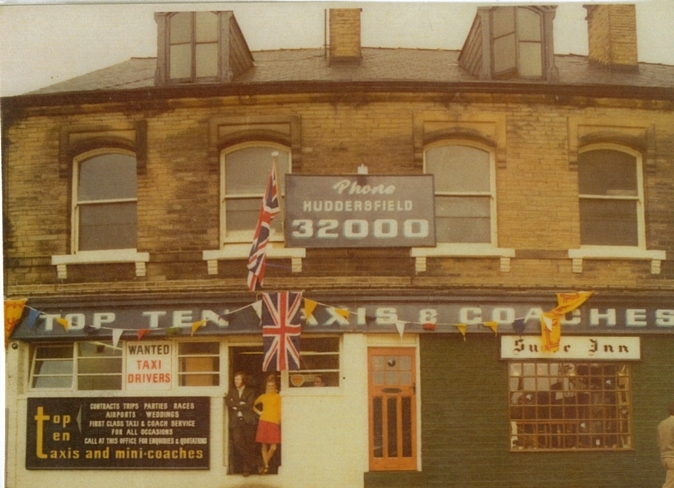 He later moved the Taxi Office to The Old Bull’s Head in Beast Market, this was a disused pub which had been empty for many years and in December 1969 the pub opened as Johnny’s Disco this meant a further move across the road in Beast Market and is pictured above. 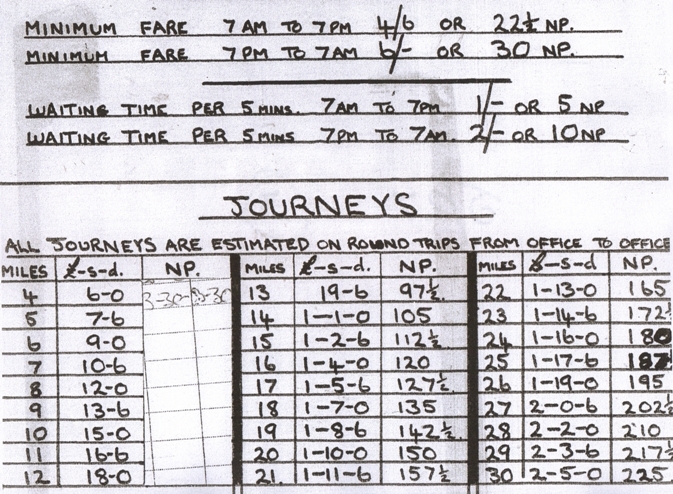 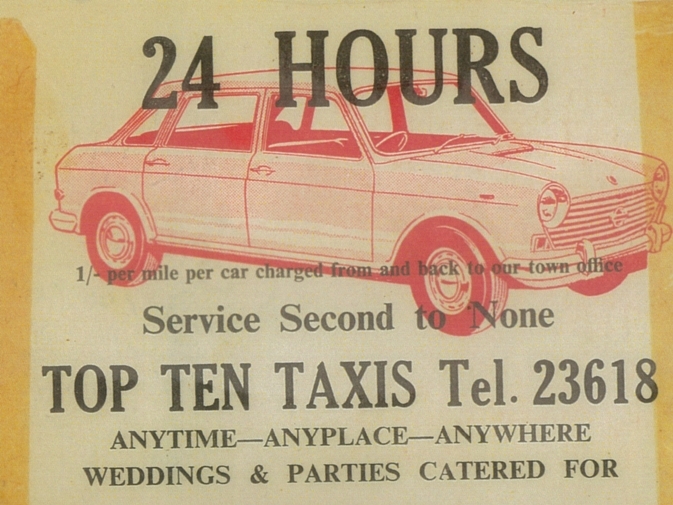 When Johnny first started in his Taxi business the fare was one shilling a mile, 5p in today’s money! 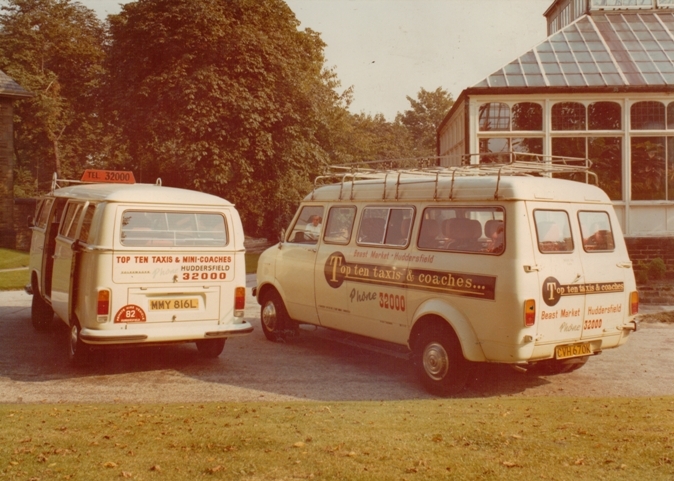 In 1971 Telephone Boxes used the old coinage and 4 old pennies would make a local call and there was no time limit on the call. 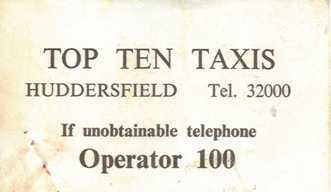 A rival taxi firm would make a call to Top Ten Taxis and then leave the telephone instrument off. 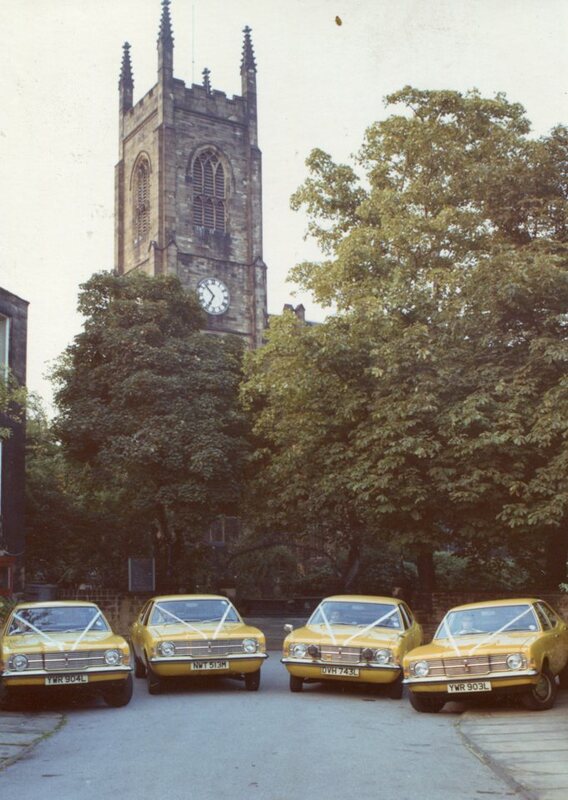 This was done on busy nights and was done as far away as Emley, Johnny, Joe and mother Delia would tour round for miles looking in telephone boxes and replacing the receivers. 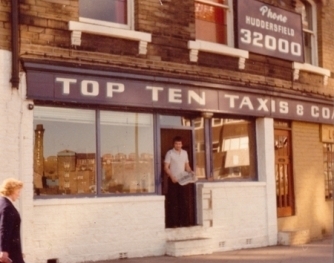 The G.P.O paid for the display business cards so the Top Ten Taxis customers could phone the operator and then be put through to the taxi office on an ex/directory number, no charge. 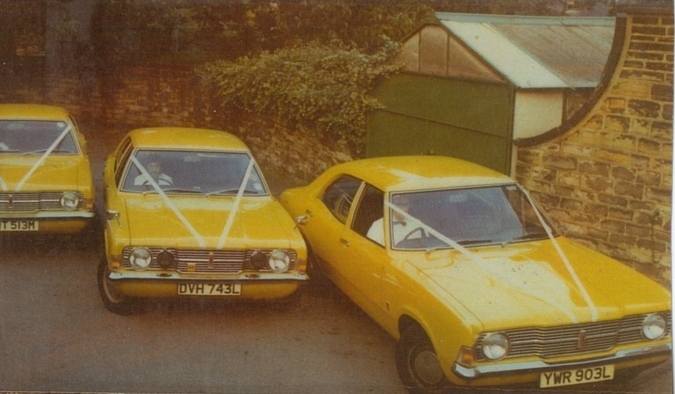 2302121719 - Pictured is Mr Alf Lewis, owner of Birkby Taxis which ran London style cabs for many years. 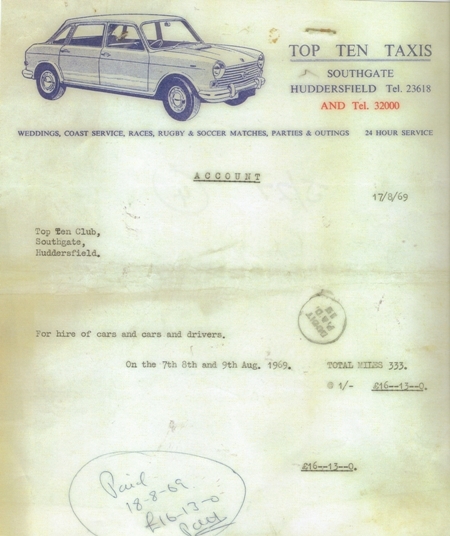 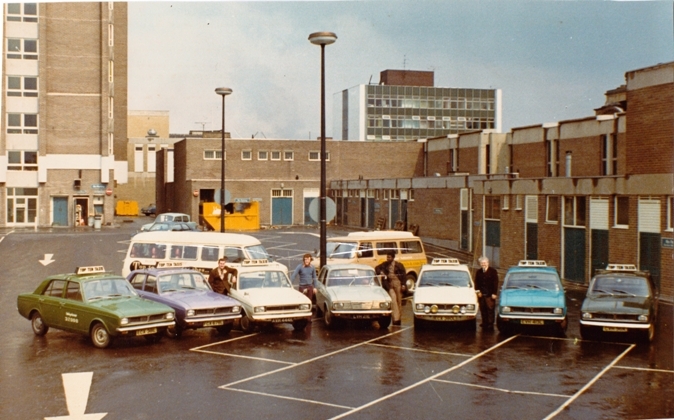 Alf and our taxi company liaised together and between us we were the busiest taxi firms in Huddersfield.